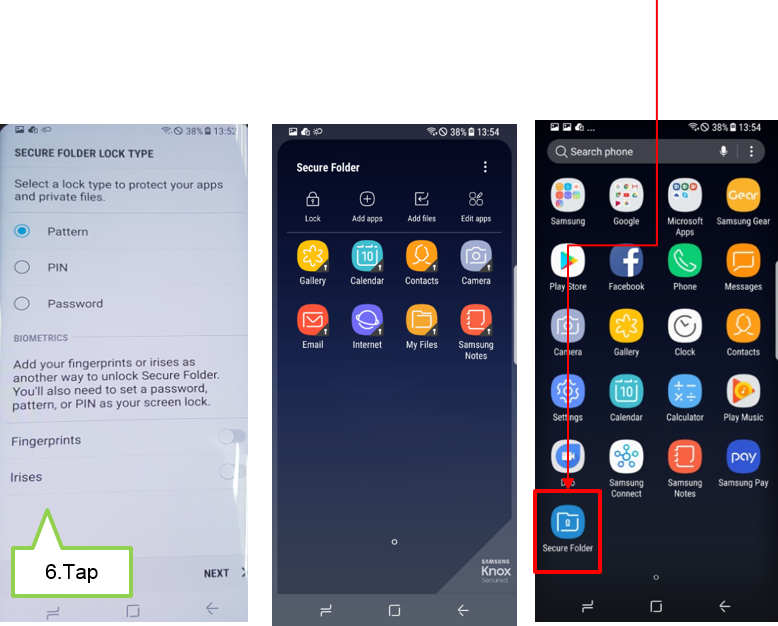 [Galaxy S8/S8+] How to turn on the the Secure Folder? is unlocked. You can also use multiple accounts on a single device. 1. On the Apps screen, tap Settings. 2. Tap Lock screen and security. 4. To use Secure Folder, you should sing in to Samsung account. Tap SIGN IN. 5. 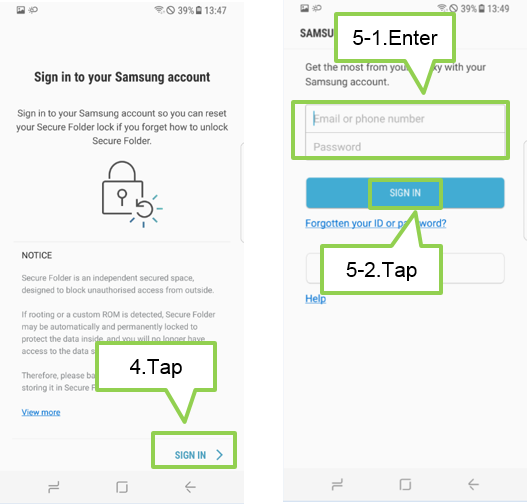 Enter your Samsung account information and then tap SING IN. 6. Select a lock method to use for Secure Folder. 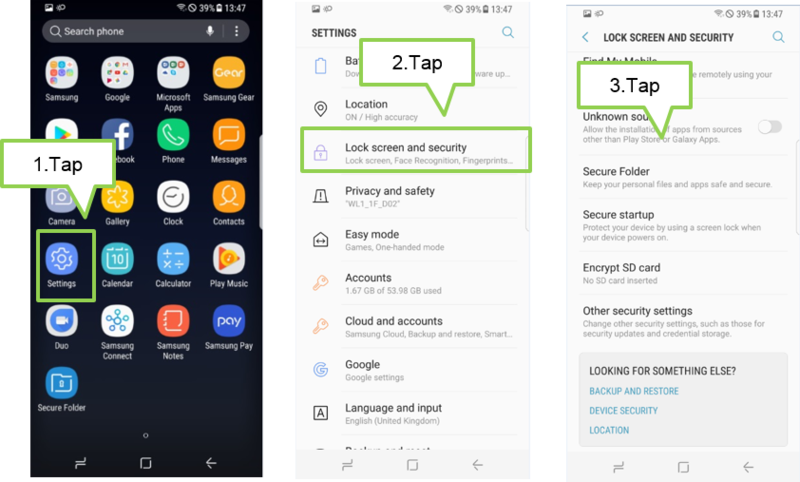 If you forget how to unlock Secure Folder, you can reset your lock using your Samsung account. 7. If setup is completed, a shortcut to Secure Folder will be added to the Home and Apps screens.